The listing period is from January 1 through January 31. Listings submitted by mail shall be deemed filed as of the date shown on the postmark affixed by the US Postal Service. If no date is shown on the postmark, the postmark is illegible or if the postmark is affixed by postage meter, the listing shall be deemed filed when received by the Assessor's office. All late filings will be charged a 10 percent penalty. NC General Statutes require all individuals owning personal property on January 1 of each year to annually list that property which is subject to taxation. A more detailed summary of the requirements can be found in the Annual Listing Letter. Listing extensions for individual personal property may be requested in writing before the close of the regular listing period, January 31. All extension requests received after January 31 will be denied. The written request must show good cause for the extension, and if the extension is granted, the listing form must be received or postmarked on or before April 15. The listing period is from January 1 through January 31. Listings submitted by mail shall be deemed filed as of the date shown on the postmark affixed by the U.S. Postal Service. If no date is shown on the postmark, the postmark is illegible or if the postmark is affixed by postage meter, the listing shall be deemed filed when received by the Assessor's office. All late filings will be charged a 10 percent penalty. Listing extensions for business personal property may be requested in writing or online with the Tax Listing Extension Request Form. All extension requests received after January 31 will be denied, per statute. This written request must show good cause for the extension, and if the extension is granted, the listing form must be received or postmarked on or before April 15.
Business personal property includes computer and office equipment, supplies, materials, machinery, farm equipment, leasehold improvements, etc. 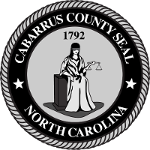 Values are determined by applying trending factors developed by the NC Department of Revenue to original costs reported by the taxpayer, producing a value that reflects replacement cost less depreciation. The trending schedules are developed with consideration of factors such as the useful life, pricing increases as determined by the US Bureau of Labor and information from taxpayers. If you received a listing form in the previous year, a form should automatically be mailed to the last address of record. You should receive a form by the first week of January. If you do not receive a form and have property that requires listing, access a Business Personal Property Form with Instructions or select the action card above. If you have a pre-existing account, you can submit your Business Personal Property Listings online.